I've been away helping out on a scrapping event all weekend having a lot of fun and meeting a lot of creative people and I even got some time to craft myself. When I was packing my stuff I was thinking about what to bring and I decided on the Spectrum Aquas for coloring because they are easy to work with and don't take so much space in the bag. Well, it was a great thought and it would have been even better if I actually had packed them instead of just planning to pack them ;) So I arrived without anything to color with which made it hard to do anything at all so I mostly just talked with everyone and got no crafting done. 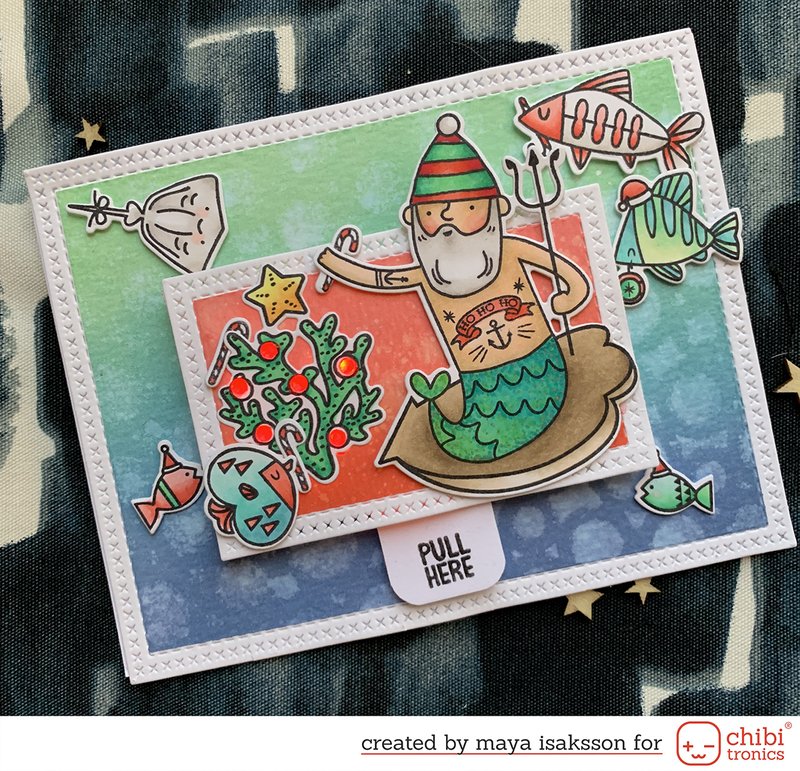 Fortunately I made this card a while back to blog today, using the Spectrum Aquas to create a background. I embossed the background stamp with the snow flakes first, using Silver Pearl embossing powder and then I did an ink smooching technique using the Kingfisher, Marine and Sea Green Spectrum Aquas. I really like the combinations of the colors, they blend beautifully together. Ett sådant vackert kort! Gillar den vintriga krispiga looken!